How do I manually add a new user to my account? 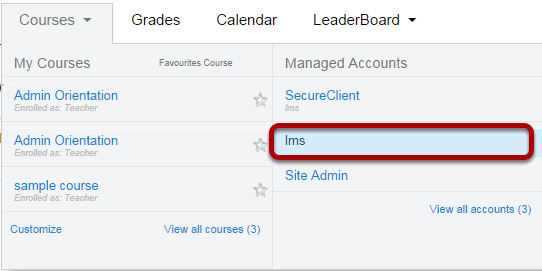 Most users will be placed in accounts via SIS data, but if you need to add a new user to your account, it is a simple task. 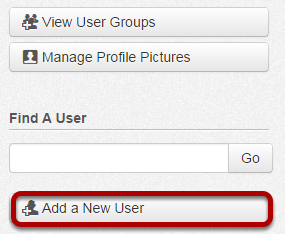 You can add a new user two different ways. 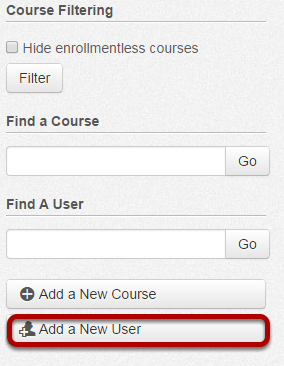 After clicking on the account link, you will see courses in the account. Locate the Add a New User button and click on it. 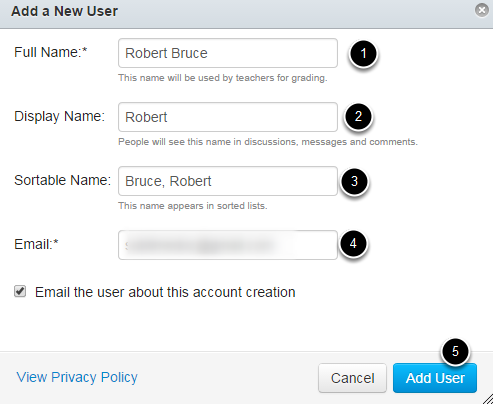 Full Name is used for grading, SIS imports, and other administrative items. Display Name is the what other users will see in discussions, announcements, etc. The user can set his or her own display name if the setting is enabled. 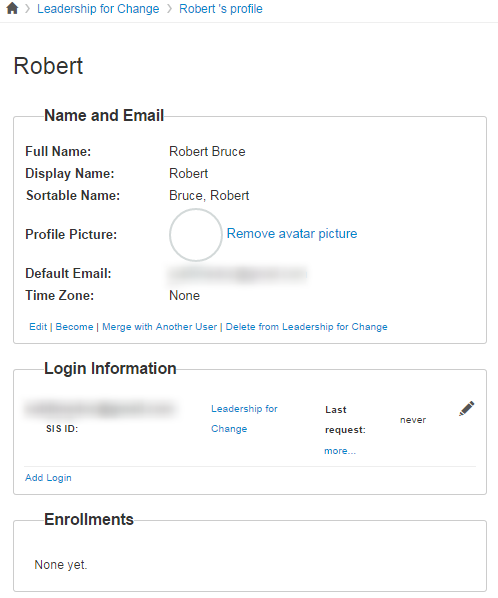 Sortable Name is the user's last name, first name default and it can be edited. 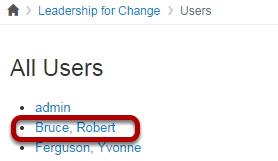 This appears in sorted lists and admins can search for it. 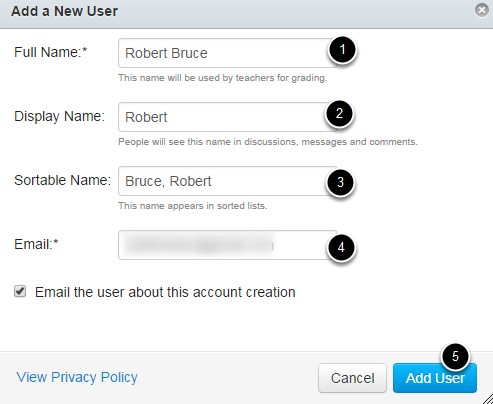 The user should receive an email, if you selected the email checkbox, to join the account. After opening the account, click the Users account navigation link. Click the Add a New User button. Click user name to view profile information.